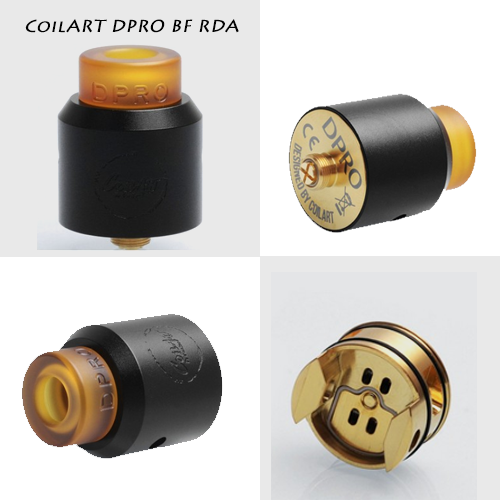 CoilART DPRO BF RDA is a 24mm diameter RDA with creative postless deck. The length extended airflow system creates awesome flavor. The build deck features 24K gold plated postless deck with 3mm juice well. It is easy for both single coil and dual coil. The Goon style ultem drip tip has inner groove, which can prevent e-juice coming from the bottom to mouth. It is only $25.99 on efun.top!